The telecom enterprise services market report provides an analysis of the global telecom enterprise services market for the period 2015 – 2025, wherein 2016 is the base year and 2017 to 2025 is the forecast period. Data for 2015 has been included as historical information. The report covers all the prevalent trends and technologies that are anticipated to play a major role in the growth of the telecom enterprise services market over the forecast period. It also highlights various drivers, restraints, and opportunities expected to influence market growth during the said period. The study provides a holistic perspective on market growth throughout the above forecast period in terms of revenue estimates (in US$ Bn), across different geographies which include North America, Europe, Asia Pacific (APAC), Middle East & Africa (MEA), and South America. The report provides cross-sectional analysis of the global telecom enterprise services market in terms of market estimates and forecasts for all the segments across different geographic regions. 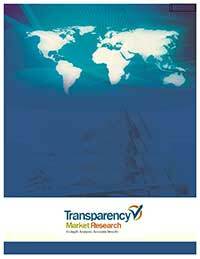 This research report provides in-depth analysis of the global telecom enterprise services market on the basis of solution, revenue stream, and end-user. The report also includes competitive profiling of major players engaged in providing telecom enterprise services. Major business strategies adopted by them, their market positioning, and various recent developments have also been identified in the research report. The report also provides market positioning analysis of major players operating in this market. This research study on the global telecom enterprise services market provides a detailed analysis of various solution which enable enterprise to avail from respective operators, and thus driving the rising demand for these solution from SMEs and Large enterprise. The report also offers an in-depth analysis of various factors such as market drivers, restraints, and growth opportunities affecting the market dynamics. These factors enable the analysis of various trends that would impact the market during the forecast period from 2017 to 2025. The report includes a comprehensive coverage of the underlying economic and technological factors under key trend analysis influencing the telecom enterprise services market. Furthermore, the report aims to provide strategic insights into the ecosystem of operators and leading agents/master agents in the telecom enterprise services market. The market positioning analysis of key players throws light on the prevalent competition in this market. Based on the end user type, the telecom enterprise services market is segmented into small and medium enterprise and large enterprise. Based on factors such as budget, scalability, flexibility, and ease of use, end users tend to select best-fit solutions in order to cater to their requirements and business usage. Telecom enterprise services market revenue is segmented into various revenue streams which include master agent, carriers and others (Value Added Resellers [VARs], Telco agent). In addition, the report highlights the competitive landscape of the telecom enterprise services market and identifies various business strategies adopted by the leading players. Under the company profiles section, the report provides an overview of the companies operating in the market, strategies deployed by them to gain competitive advantage, annual revenue generated by them in the past two/three years, and recent developments. The companies profiled in this report include X4 Solutions, Business Communications Management, Inc., WTG Technologies Limited, Telecom Brokerage Inc., Intelisys Communications, Inc., Telecom Brokers, Intracom Telecom SA, Converged Network Services Group, Advoda Communications, Inc. and Telarus Inc. among others.